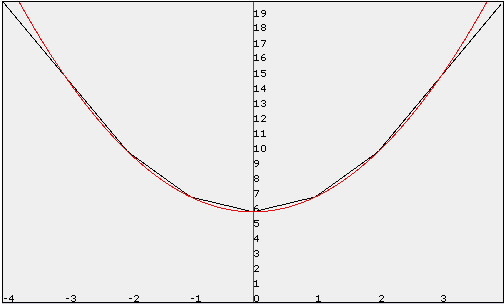 It all started when I tried to get an interesting variation on graphs of inverse trigonometric functions. 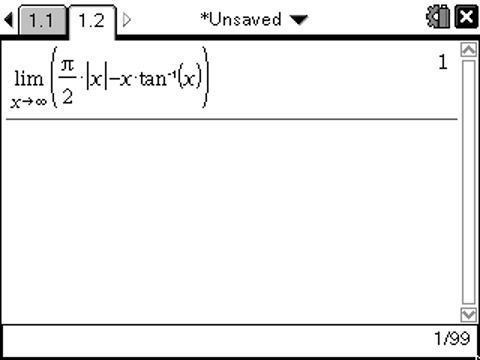 Tiring of constant scale changes and translations of inverse trig graphs, I tried , thinking that this product of odd functions leading to an even function would be a nice, but minor, extension for my students. I reasoned that because the magnitude of arctangent approached as , the graph of must approach . As shown and to my surprise, seemed to parallel the anticipated absolute value function instead of approaching it. Hmmmm….. If this is actually true, then the gap between and must be constant. I suspected that this was probably beyond the abilities of my precalculus students, but with my CAS in hand, I (and they) could compute that limit anyway. Now that was just too pretty to leave alone. 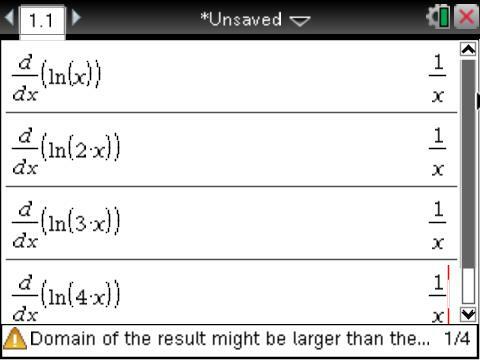 Because the values of x are positive for the limit, this becomes . 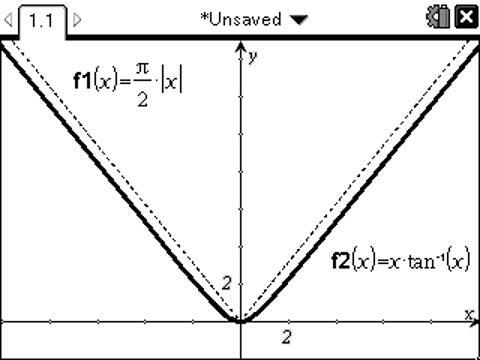 But what do I do with this for my precalculus students? NOTE: As a calculus teacher, I immediately recognized the product as a precursor to L’Hopital’s rule. OK, that proves what the graph suggests and the CAS computes. Rather than leaving students frustrated with a point in a problem that they couldn’t get past (determining the gap between the suspected and actual limits), the CAS kept the problem within reach. Satisfying enough for some, I suspect, but I’d love suggestions on how to make this particular limit more attainable for students without invoking calculus. Ideas, anyone? I recently was notified that a former student’s idea is expected to be published in the Mathematics Teacher in early Fall, 2011. Ian discovered a way to use a single quadratic function with a variable y-intercept to capture a limited number of values of an increasingly long sum of absolute value functions. I’ll link a copy of the brief article once it is published. The coolest part of the development of this idea is that Ian’s access to a CAS and the encouragement of his class to explore their ideas made this problem possible. When Ian needed to learn additional mathematics (induction) to prove his theorem, he was receptive and confident.